The Timor Sea Justice Forum NSW is one of many Australian groups that have been concerned about the decades-long injustice of the Australian approach to Timor-Leste over the resources of the Timor Sea. A significant event in that disgraceful history was the 2004 Australian bugging of the offices where the Timorese maritime negotiators met. 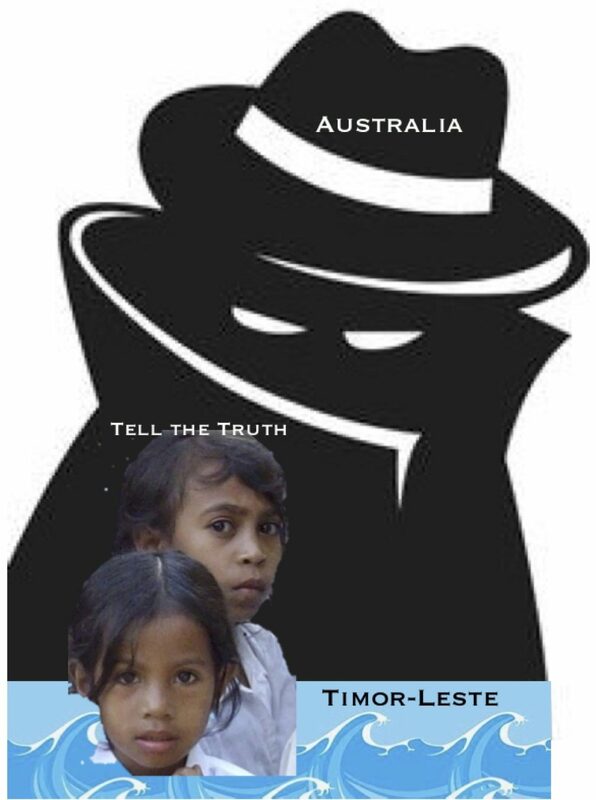 The Timorese government withdrew the case it had brought to the international court against Australia, thus relieving us of the responsibility of spying, for our financial gain, on one of the poorest nations in the world. Witness K and Bernard Collaery are charged with making known – between 2008 and 2013- to the Government of Timor-Leste that Australian officials had spied on the negotiations concerning the resources of the Timor Sea in 2004. Bernard Collaery is also charged with making known that information – between December 2013 and March 2014 – to the ABC journalists Emma Alberici, Peter Lloyd, Connor Duffy, Peter Cronau and Marian Wilkinson. However, on 3 May 2013, the then Foreign Minister Bob Carr and his deputy Mark Dreyfus issued a joint press release concerning the accusation of espionage. On 29 May 2013, Leo Shanahan, a NewsCorp journalist, wrote a 1,000-word article in The Australian detailing an interview with Collaery over the spying. Neither Carr, Dreyfus or Shanahan are mentioned in the charges. It is extraordinary that two Australians now have been charged for publicising the Australian action.The resuscitation of this embarrassing but dead cat would surely have to be the own goal of modern Australian history. The prosecutions of the two Australians come under harsh national security legislation which the government argues is necessary to protect Australian secrets in the present climate of anxiety over terrorism. This website gathers and makes available some of the relevant information and suggests actions which concerned Australians may make to bring about justice. The site is maintained by Susan Connelly, a Sister of St Joseph. TIMFO A site which followed the Timor Sea saga in its final years. CHART – Clearing House for Archival Records on Timor.